Skiing in the Olympia SkiWorld covers all needs, from casual family descents to powdery deep-snow slopes, from challenging trails to to action-packed fun for snowboarders and freestyle cracks. Perfect customer convenience and countless service facilities such as INTERSPORT Rent and ski school ensure that Innsbruck is a truly unique holiday destination. 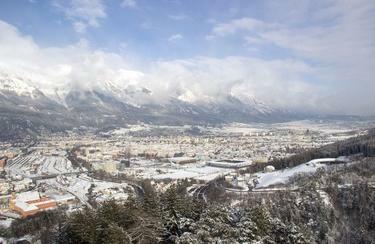 Innsbruck turns your winter vacation into a unforgettable experience. The Tyrolean capital and its surroundings house no less than nine easily accessible ski resorts: Nordkette, Patscherkofel, Axamer Lizum, Muttereralm, Rangger Köpfl, Glungezer, Schlick 2000, Stubaier Gletscher (Stubai glacier) and Kühtal. 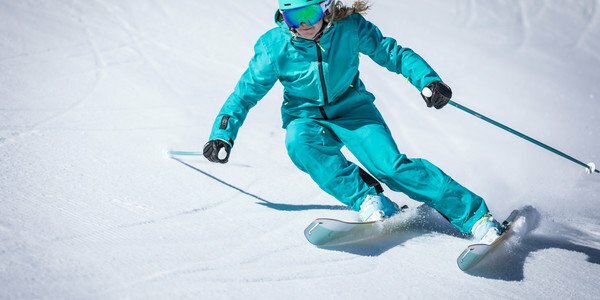 The Olympia SkiWorld offers pure action for powder and carving enthusiasts, as well as broad, gentle slopes to accommodate beginners and families. Modern ski lift facilities, free shuttle busses and ski rental at INTERSPORT Rent ensure perfect service. Innsbruck does not only offer beautiful ski slopes, but also numerous cultural attractions. Visit the world-famous 'Goldenes Dachl' before hitting the slopes. Would you like the edges or bindings of your skis serviced in the meantime? No problem at all! The expertly trained INTERSPORT Rent team has all the necessary skills. Furthermore, we're more than happy to share insider tips and hints regarding the most beautiful descents in and around Innsbruck! Do you have questions regarding ski rental and ski service? Visit INTERSPORT Patscherkofel in Innsbruck. Our competent team is more than happy to assist you!